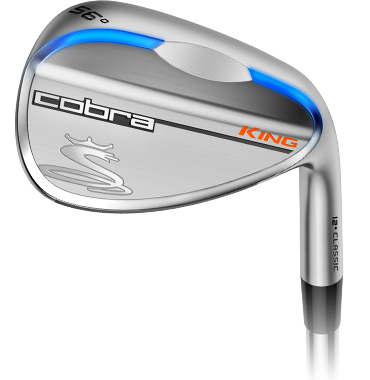 Attack more pins, get up and down more often and make more sand saves with the all new KING Wedge. 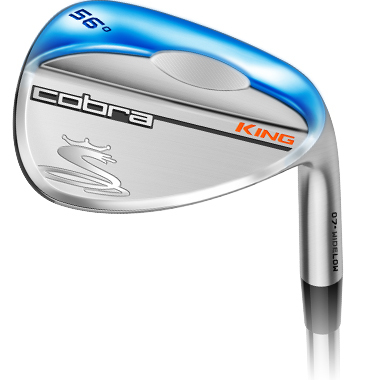 The KING wedge was designed to accommodate all golfers. No two golf swings are the same and we play on a variety of different turf conditions. That’s why we created three distinct grinds to give you better spin and improved feel. Wedge performance starts with excellent feel that the best golfers demand from these scoring clubs. Chrome plated carbon steel for a soft, buttery feel. Great for both touch shots and full swings. An improved Muscle Back design places more mass directly behind the hitting zone to deliver our softest feeling wedge ever. Vibrational Flow is finely tuned to deliver excellent club harmonics that translates to a soft yet solid feel at impact. Precision shots need precision grooves. CNC milling creates highly accurate grooves for consistent spin across the entire face. 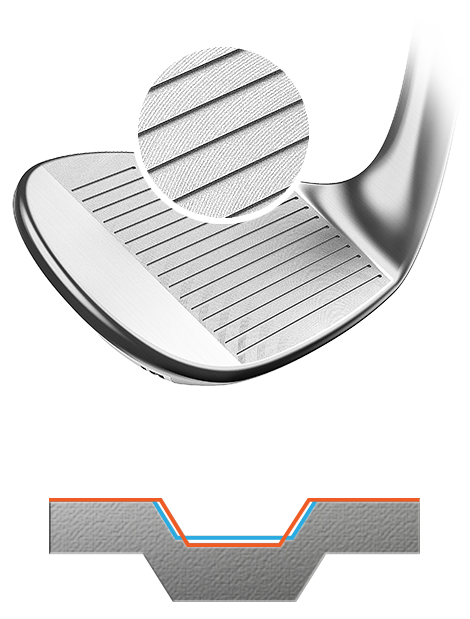 New design with larger gap between grooves in weaker lofted wedges, and narrow, tighter spaced grooves in stronger lofted wedges providing more consistent trajectory through wedge lofts. Create more shots and enjoy more versatility around the green, with these new KING wedges. Choose the perfect fit to match your short game needs. An excellent all around wedge for shots close to the green and from the bunker. These Sand and Lob wedges offer a wide soled low bounce perfect for wet or softer fairways and green-side areas. Classic lofts, thinner soles and higher bounce combine to give you greater performance for a wide range of conditions (firm, medium, soft). Great for those who make medium to shallow divots. Our widest offering with a variety of range options. 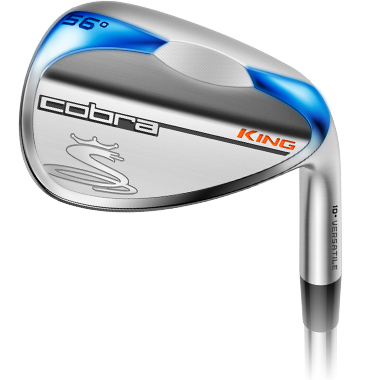 Each wedge features a softened leading edge with heel and toe relief along with Cobra’s Tour Notch grind, providing great amount of choices from medium to firm conditions. AKA “the digger” has a steep attack angle that creates deeper longer divots. The average golfer creates medium size divots with normal depth. AKA “the slider” uses a sweeping motion that creates shallower & shorter divots.